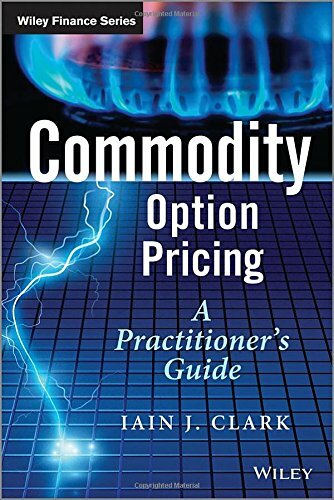 Commodity Option Pricing: A Practitioner’s Guide covers commodity option pricing for quantitative analysts, traders or structurers in banks, hedge funds and commodity trading companies. Based on the author’s industry experience with commodity derivatives, this book provides a thorough and mathematical introduction to the various market conventions and models used in commodity option pricing. It introduces the various derivative products typically traded for commodities and describes how these models can be calibrated and used for pricing and risk management. The book has been developed with input from traders and examples using real world data, together with relevant up to date academic research. The book includes practical descriptions of market conventions and quote codes used in commodity markets alongside typical products seen in broker quotes and used in calibration. Also discussed are commodity models and their mathematical derivation and volatility surface modelling for traded commodity derivatives. Gold, silver and other precious metals are addressed, including gold forward and gold lease rates, as well as copper, aluminium and other base metals, crude oil and natural gas, refined energy and electricity. There are also sections on the products encountered in commodities such as crack spread and spark spread options and alternative commodities such as carbon emissions, weather derivatives, bandwidth and telecommunications trading, plastics and freight. Commodity Option Pricing is ideal for anyone working in commodities or aiming to make the transition into the area, as well as academics needing to familiarize themselves with the industry conventions of the commodity markets.